I’m involved in a series of diptychs; an exploration of overlapping images with a contiguous background and subject matter. What that means in practice is that, while I draw up both panels together, one half is actually painted before the other is started. It’s great for my color discipline as the lighting and hue of both panels was originally the same but it might be a month before I start on the second image. Here’s the left side of the current set – the right panel is still in progress. This entry was posted in art, Maine, painting, still life, work in progress and tagged autumn, diptych, painting, still life on October 17, 2018 by APo. 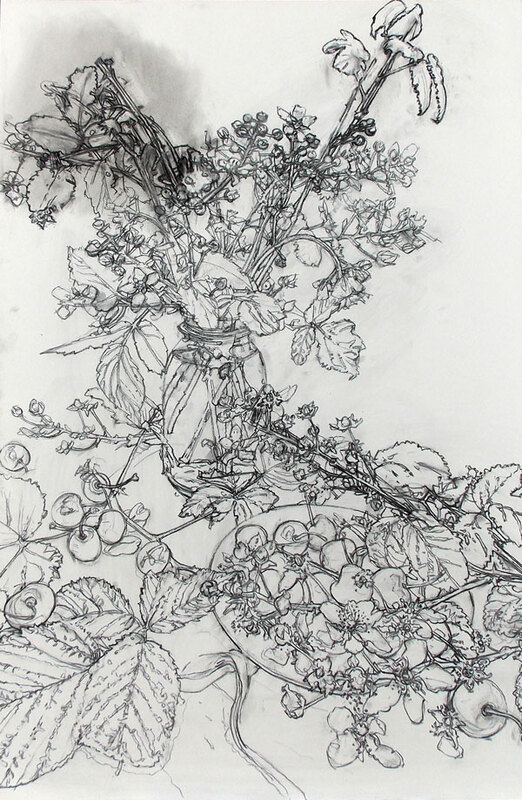 In October we had the invasion of crab apples (and fruit flies) in the studio, wind storms with power outages, and revelations about drapery and the role of drawing in painting thanks to a dear friend lending me her copy of Modern Prints and Drawings by Paul Sachs. Now it has turned November and we have quince in progress, 24 x 18, oil on panel. 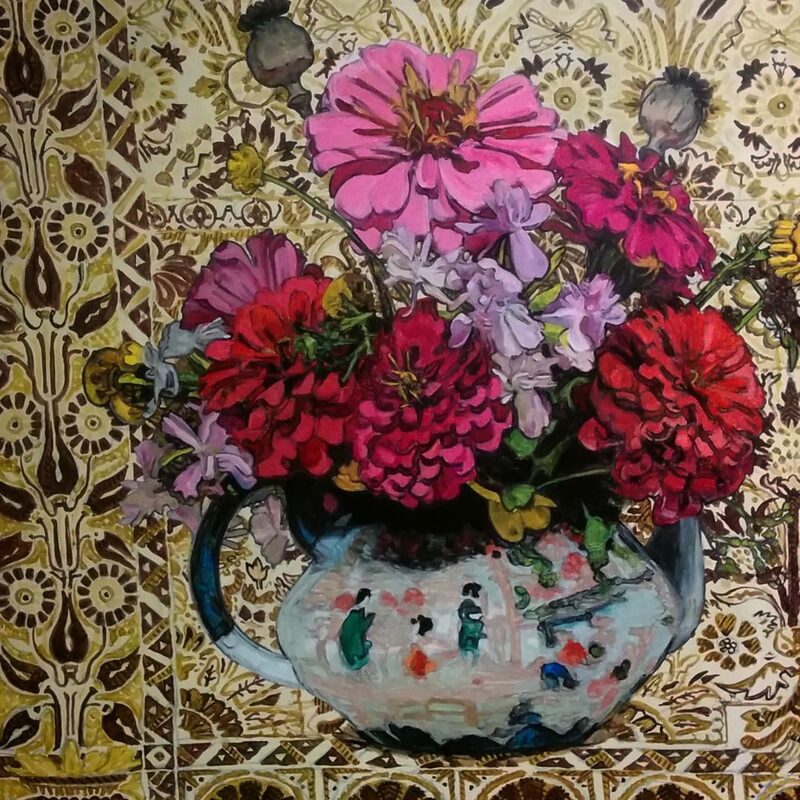 This entry was posted in art, orchard, painting, still life, work in progress and tagged autumn, orchard fruit, painting on November 1, 2017 by APo. On the easel, 24 x 16, oil on panel. I’m tempted to title this one “Knitting a Tree”. 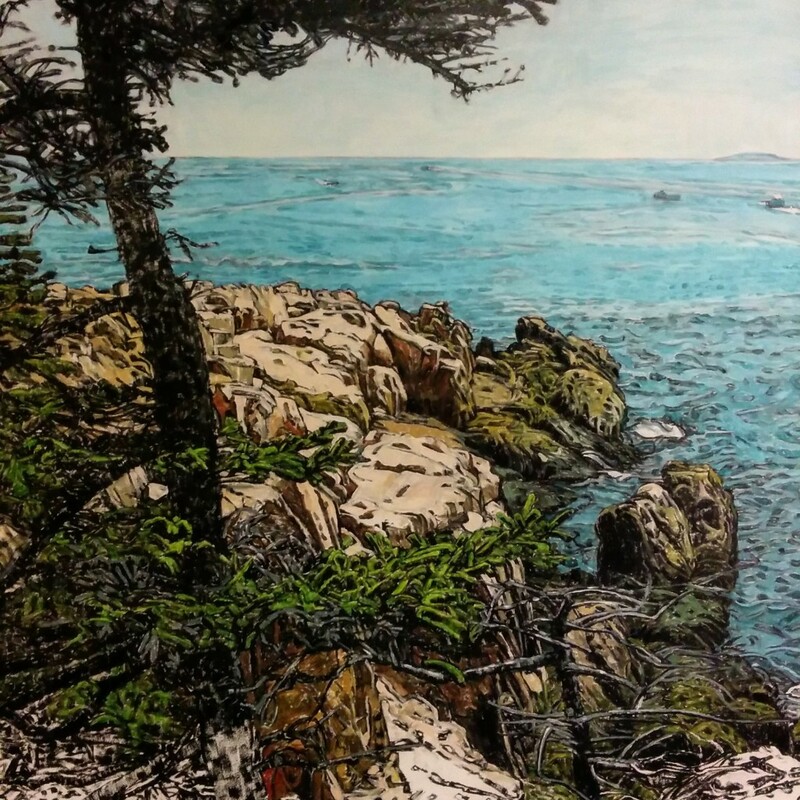 This entry was posted in art, Maine, painting, work in progress and tagged Acadia National Park, Bass Harbor, painting on March 15, 2016 by APo. 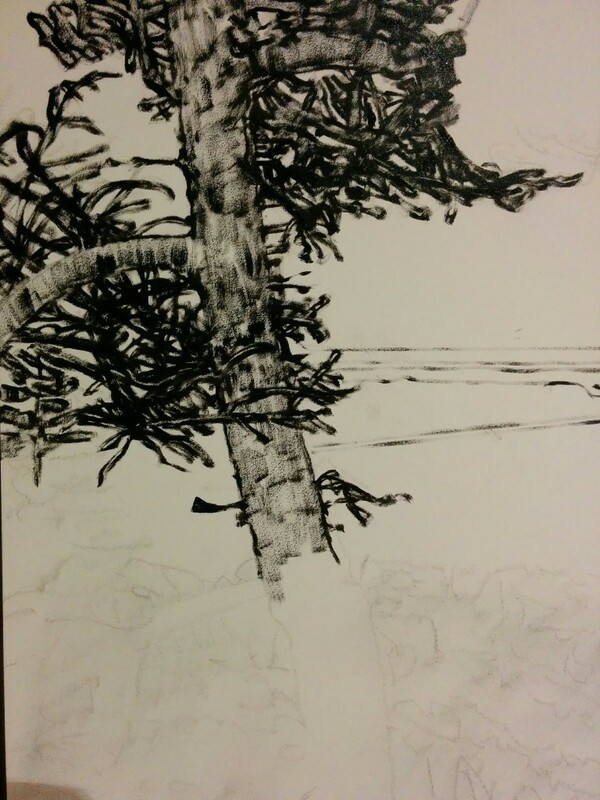 This entry was posted in art, landscape, Maine, work in progress and tagged AcadiaNationalPark, drawing, painting, winter on February 27, 2016 by APo. Sometimes I just want to paint structure and there’s nothing like a glass jar buttressed stems, leathery leaves and huge, recurved thorns to work out that urge. These blackberry bushes grow uncultivated along the edge of our gravel road but the blossoms are huge, white and surprisingly delicate for living on nothing but dust and neglect. 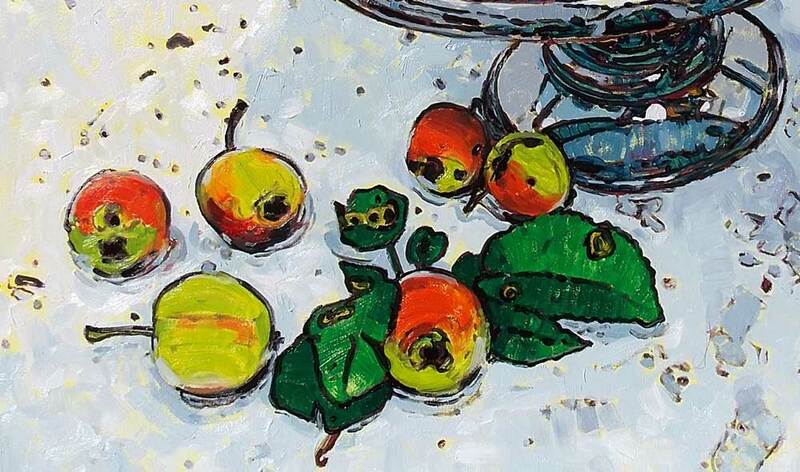 This entry was posted in art, gardening, still life, work in progress and tagged drawing, orchard fruit, summer on July 22, 2015 by APo. I’ve begun to think of these drawings as maps, as a linear underlayment that details distance, emphasis, and locates key objects on the plane of what will eventually be a painting. 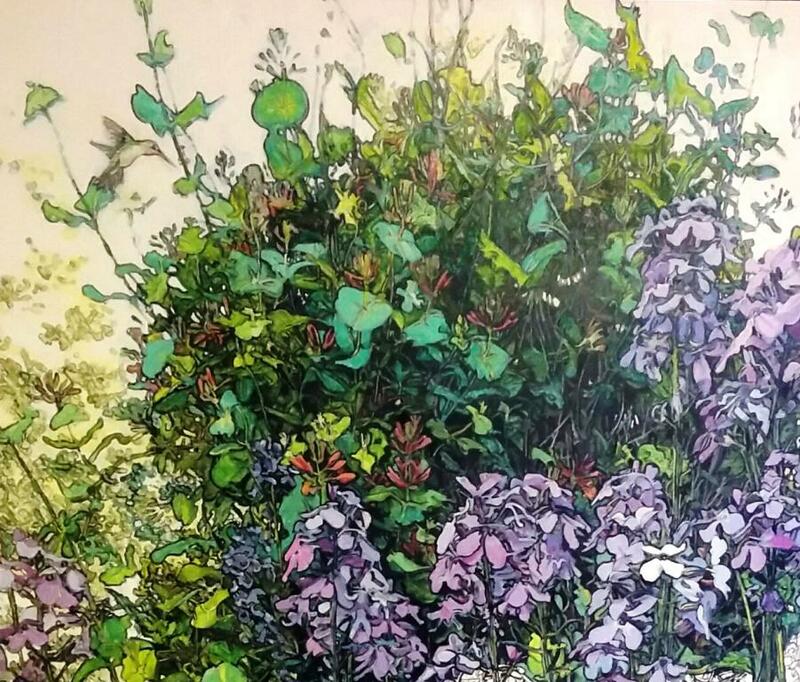 This entry was posted in art, landscape, painting, work in progress and tagged drawing, painting, winter on January 28, 2014 by APo. New oil detail of crab apples in the diffuse white light of the hoop house. I’ve been experimenting with stiffer paint and a more Zen approach to the application and brush stroke. 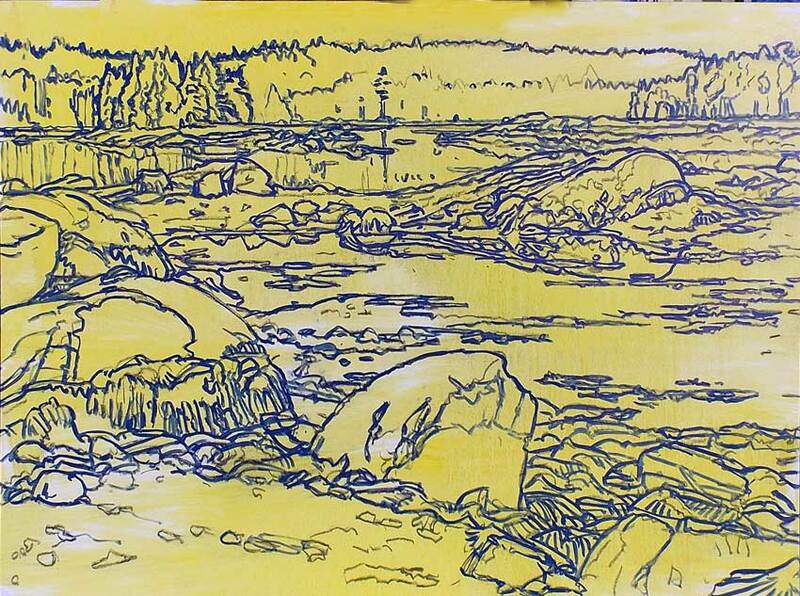 This is a continuation of the yellow ground/red drawing two posts back. 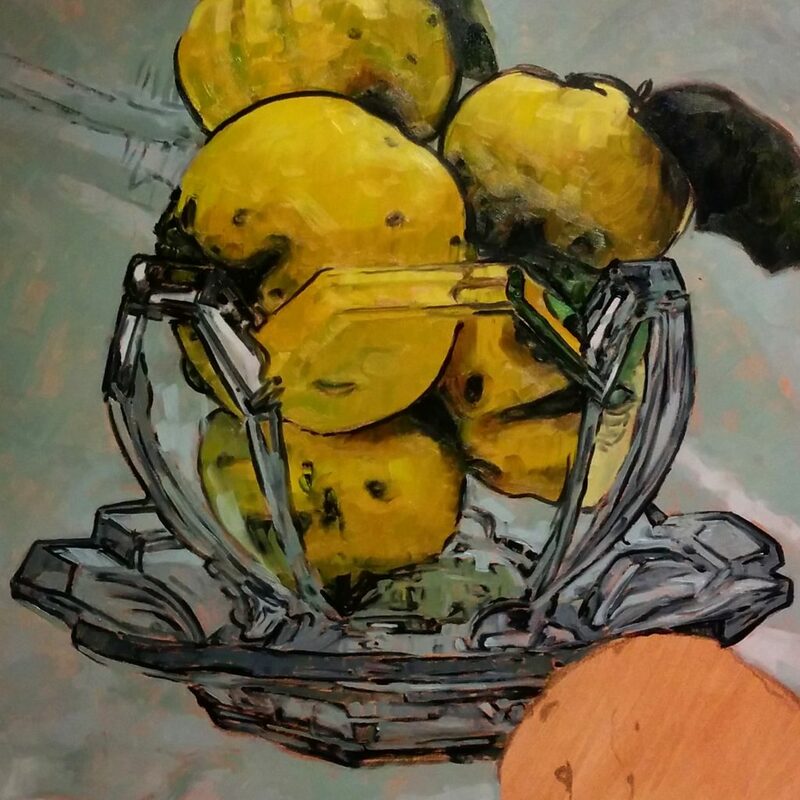 This entry was posted in art, painting, still life, work in progress and tagged orchard fruit, painting on January 15, 2014 by APo. 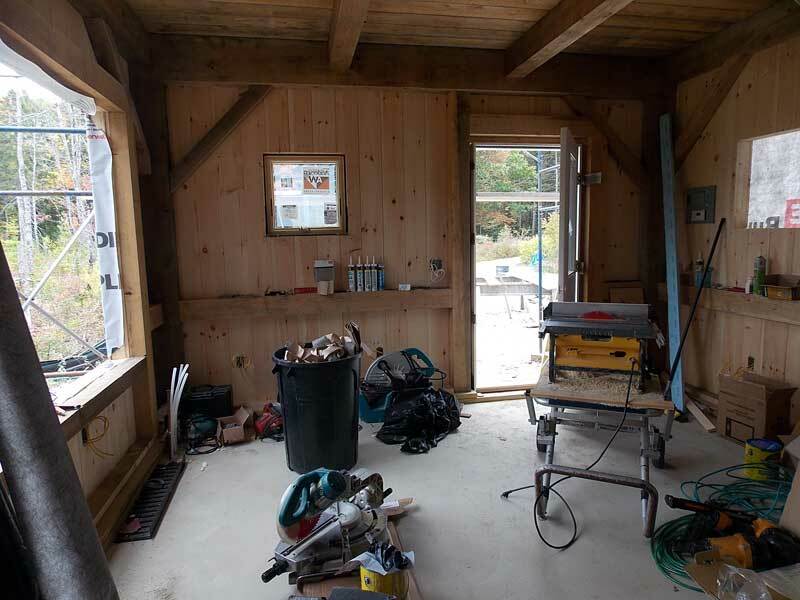 As an update on the 14′ x 20′ studio building project in the back yard – we have achieved window trim! And it’s beautiful. 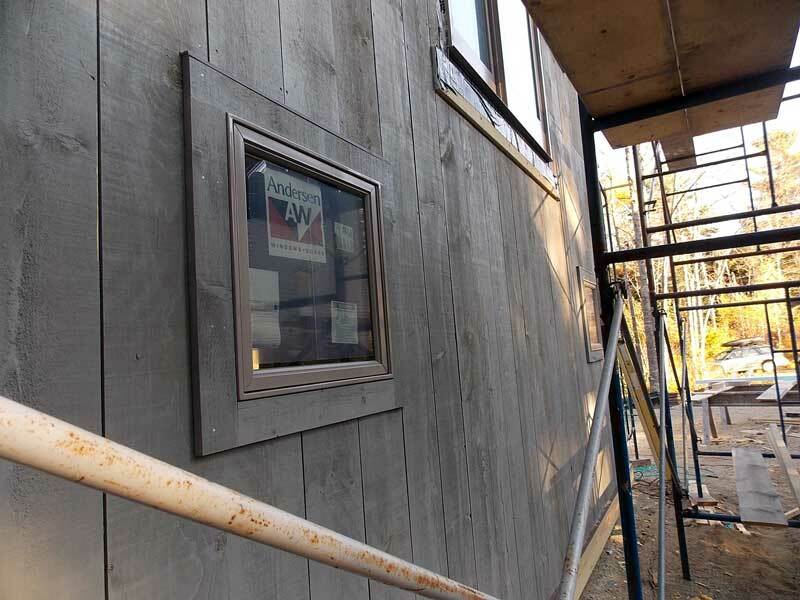 These small casement windows will provide excellent ventilation. There are also large windows on the north wall, and newly installed glass sliding doors into the second floor. The crew had to take them apart to get them up there on the scaffolding – good news is that nobody died. Those sliders weigh a ton. Here’s the first look into my space on the second floor (just before the doors went in). This is going to be a wonderful place to paint! 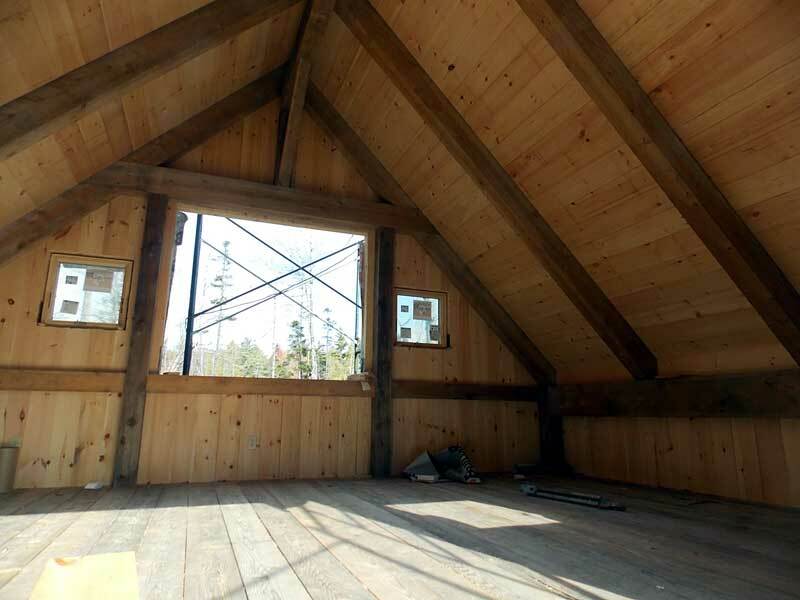 Still to do: battens, remaining trim, roof, and stairs on the exterior, first floor flooring and track lighting inside. Stay tuned. . . 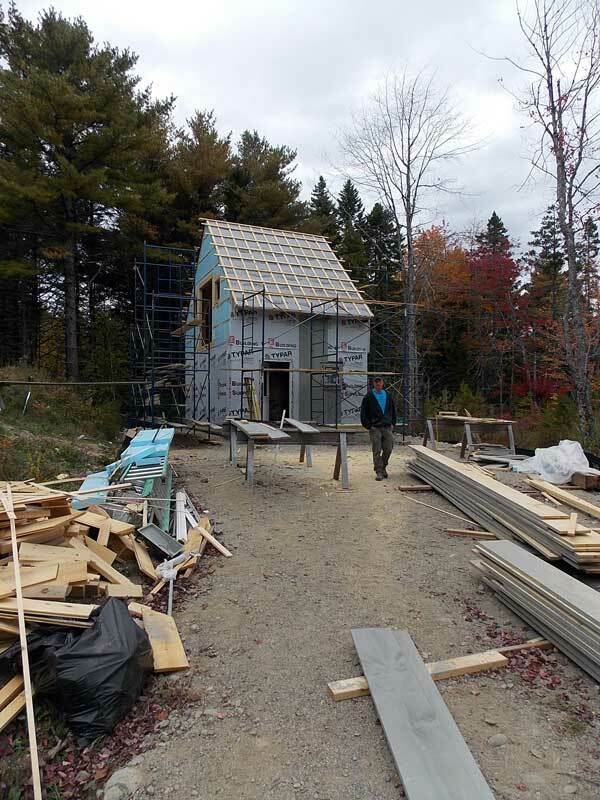 This entry was posted in art, the backyard, work in progress and tagged autumn, Bar Harbor, construction on October 22, 2013 by APo. 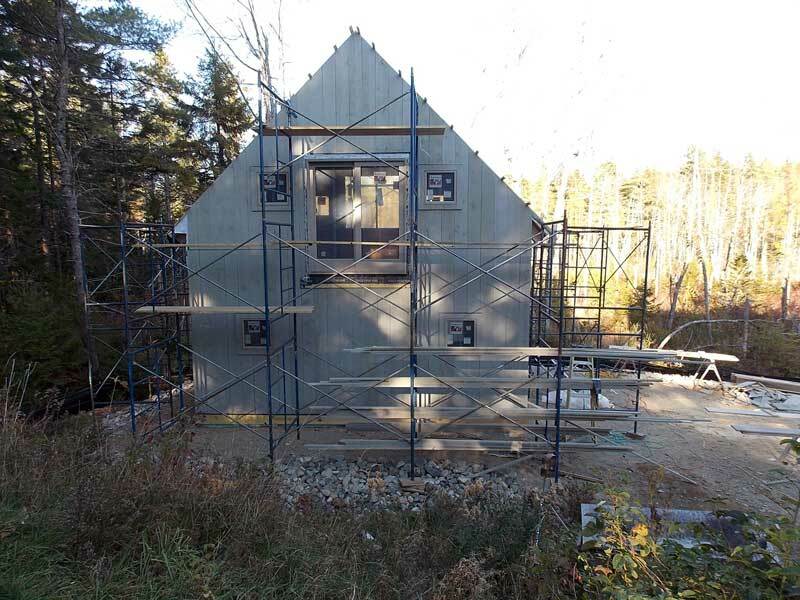 John Atkinson’s crew has been busy all week working on the studio under balmy blue October skies. 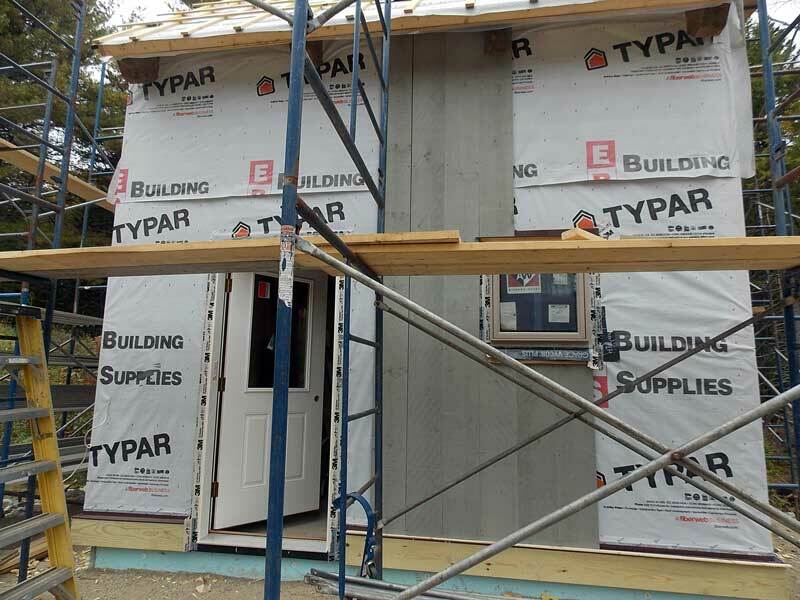 They added square casement windows to R’s space on the first floor, and installed the front door. The water-table is pressure treated lumber and needs to stay unpainted for a year. 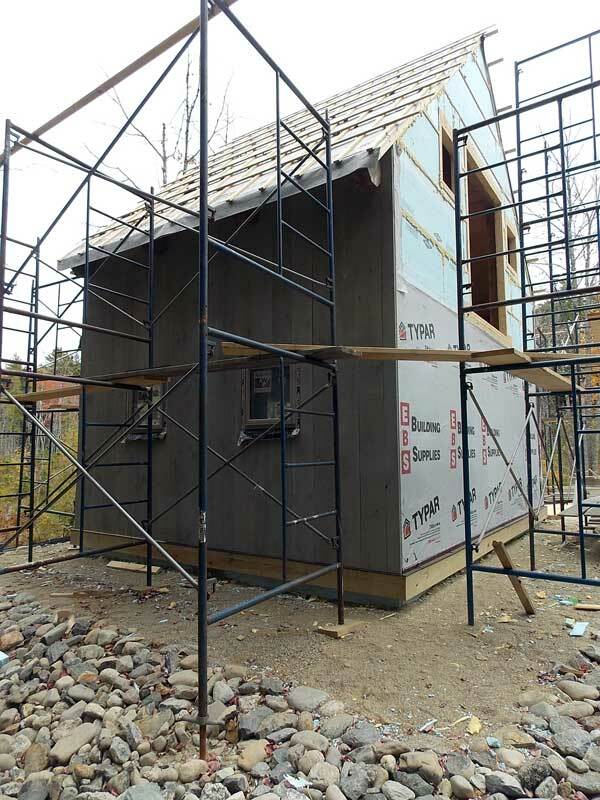 The board and batten siding is stained “Colonial Gray” – there won’t be another trim color because the building is just too small for that much detail. The interior of the first floor. . . This entry was posted in art, the backyard, work in progress and tagged autumn, construction, the studio on October 12, 2013 by APo.